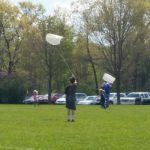 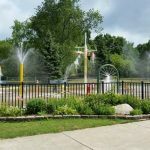 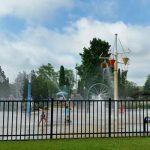 Clintonwood Park Clarkston MI Review, pics, and info – Clintonwood Park in on Clarkston Road in Clarkston, Michigan features a spray park, the NEW Ryan Kennedy Memorial playground, tournament baseball and softball diamonds, and much more. 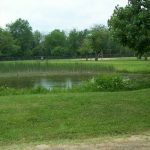 Clintonwood Park in Clarkston, Michigan is a large park that boasts an impressive amount of amenities for sports fans. 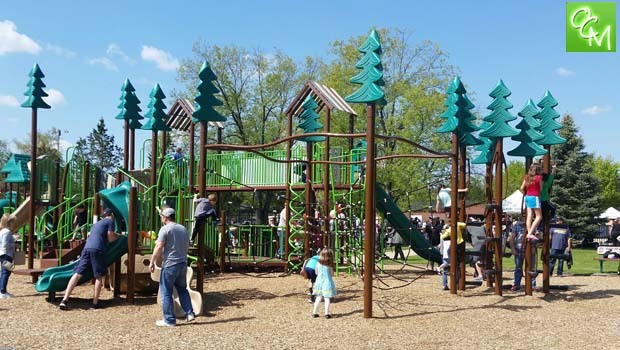 Clintonwood Park is operated by the Independence Township Parks and Recreation Department. 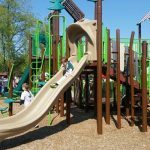 Clintonwood does not charge vehicle admission making it ideal for free summer fun. 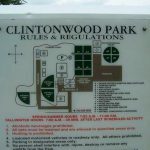 The expansive Clintonwood Park is well-maintained and well-used. 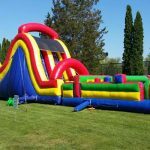 The fields are all marked clearly, provide suitable seating and even concession on some league nights. 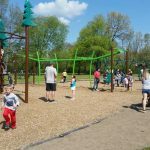 Parking is a chore if you’ve never been there as the park is large and extremely spread out. 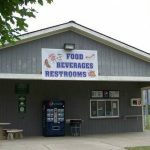 You may have to drive a bit to find where you want to stop. 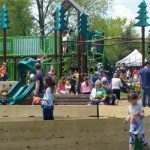 Despite the park being extremely sports-intensive, there are plenty of picnic tables and sitting areas to relax. 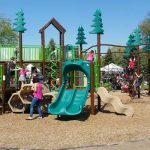 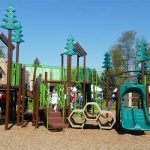 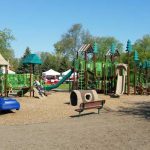 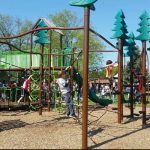 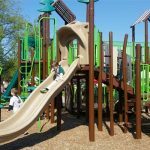 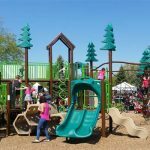 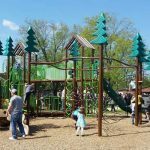 The park used to have a skimpy playground but in 2017, they unveiled a large playscape call the Ryan Kennedy Memorial Playground. 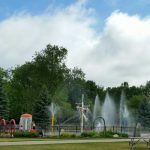 I love the fact the park doesn’t charge for admission. 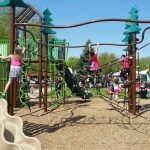 It’s a great place to take the kids even if they don’t play soccer, football or baseball. 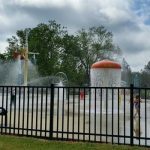 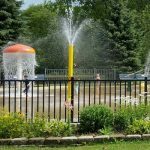 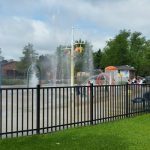 See related posts below for reviews of Clarkston Spraypark, Clintonwood Park photos and more. 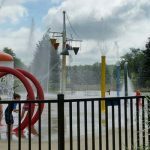 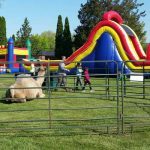 See our Parks Directory for reviews and photos of more Oakland County and Metro Detroit, Michigan parks. 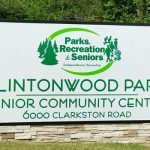 For more info on Clintonwood Park Clarkston, visit itpr.org.